When it comes to regulating blood sugar, we often hear that coming up with breakfast ideas is a challenge. You may be wondering, if you’re sticking to a low carb diet plan, what kind of healthy breakfast should you be eating? Or if you’re new to diabetes or prediabetes, you may be wondering if foods like whole-grain bread, whole-grain cereal or scrambled eggs make a good breakfast. Your number one goal with diabetes is getting down to a blood glucose that's in a healthy range, and trying to keep it there. Ideally, that is under 140 mg/dl (7.8 mmol/l) 2 hours after meals. If you’re testing 2 hours after breakfast and your blood sugar levels are higher, you can definitely work on what you eat for breakfast, which will help you lower your levels. Let’s compare two different breakfasts. It sounds pretty crazy but not surprising that this is a commonly consumed breakfast – one that many people consider healthy. However, with the above breakfast, you will likely find your blood sugar numbers 2 hours after a meal are high (over 140 mg/dl or 7.8 mmol/l) – and it is easy to see why. All those carbs!! Remember, the nutrient that influences your blood sugar levels the most is carbohydrates. So the solution is to cut down on the carbs to get a better after-meal reading. With this breakfast menu you will be consuming far less carbs, which will be much better for your blood sugar levels. You will still be consuming substantial calories, the difference however, is the calories are all in the form of nutrient-dense ingredients that will provide you with more vitamins and minerals – that means better health and better blood sugar. Plus, you’ll be eating almost twice as much fiber – that's a win-win for blood sugar! You’ve probably heard that fiber is good for blood sugar and that certainly is true. But there is a common misconception that whole wheat or whole grain foods are high in fiber. Sure, they are higher in fiber than most ‘white’ foods. But, natural whole foods are often much higher in fiber (and better for blood sugar!). So, now that we’re starting to open your mind about thinking differently about breakfast (with your goals in mind), let’s look closer at some ‘No & Yes’ breakfast foods. If you choose to eat the following items, make sure you eat small portions and monitor your blood sugar levels closely to evaluate how they affect you. Oats: are often recommended as a healthy breakfast food. After all, they contain protein and fiber that’s meant to help lower cholesterol levels, right? Well, yes, oats do contain fiber and protein. But… they mostly contain carbohydrates. While some people can tolerate eating oats in the form of oatmeal or porridge, most people do better without oats. And most people are surprised that cutting out oats gets them lower blood sugar numbers. Steel cut oats are really no different. Oats are oats and contain high amounts of carbs. Whole wheat products: whether it’s bread or cereals, whole wheat products are mostly carbs. And they are generally high in carbs, too. For instance, one slice of whole wheat bread contains around 13 grams of carbs and one small bowl of whole wheat cereal contains around 25 grams of carbs. Fruit juice: is a no no. When you juice fruit you are basically injecting your bloodstream with a fast fix of sugar, and that only leads to one thing – blood sugar spikes you don’t need! Breakfast cereal: can really get you into trouble. Majority of options that line the supermarket shelf are jam-packed with carbs and “added” sugars. Not much going on there in terms of valuable nutrition. Breads, bagels, donuts etc: flour-based foods are also very high in carbs and high in glycemic index too. That means when you eat them, your levels will most likely go up, if not skyrocket in some cases. 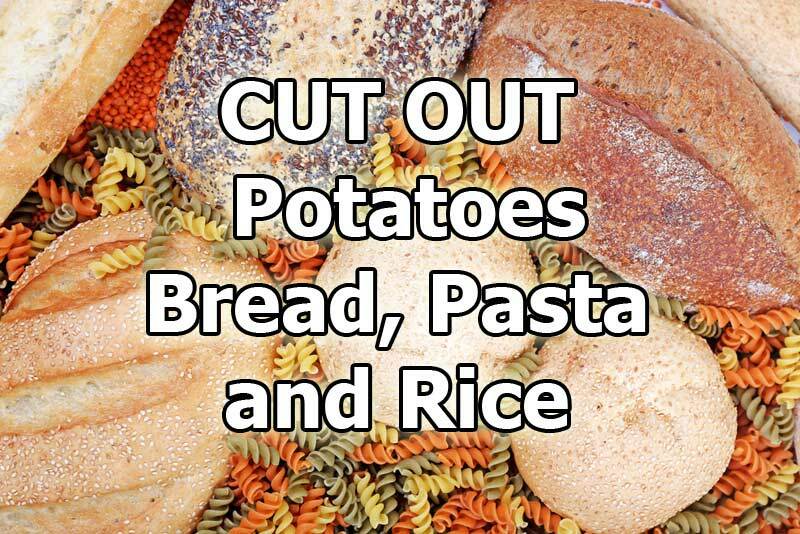 One of the most effective ways to lower blood sugar levels is to – cut out bread, pasta, potatoes, rice and flour-based foods. Dairy products: cream cheese, cottage cheese and regular cheeses like cheddar or mozzarella make an awesome breakfast addition. These are all low in carbs and higher in protein and fats – all of which helps stabilize blood sugar. Milk and plain Greek yogurt are fine too, but don’t overdo it. These are a little higher in carbs compared to cheeses. In terms of milk, you can choose either full cream or skim milk. Same goes for yogurt. Just stick to the plain yogurt options, as many others are loaded with sugars, flavors and preservatives. Eggs: Now before you ask the question most people do (won’t eating eggs raise my cholesterol and lead to heart disease). The answer is, no, eating eggs does not cause heart disease, and that includes eating the yolks. You don’t have to stick to eating egg whites because the yolks contain valuable nutrition such as vitamin D and choline, and they are not bad for cholesterol or heart health. In fact, research shows the opposite – eating eggs everyday can improve your cholesterol and heart health, even when you have type 2 diabetes or prediabetes. Or make any egg dish of your choosing. 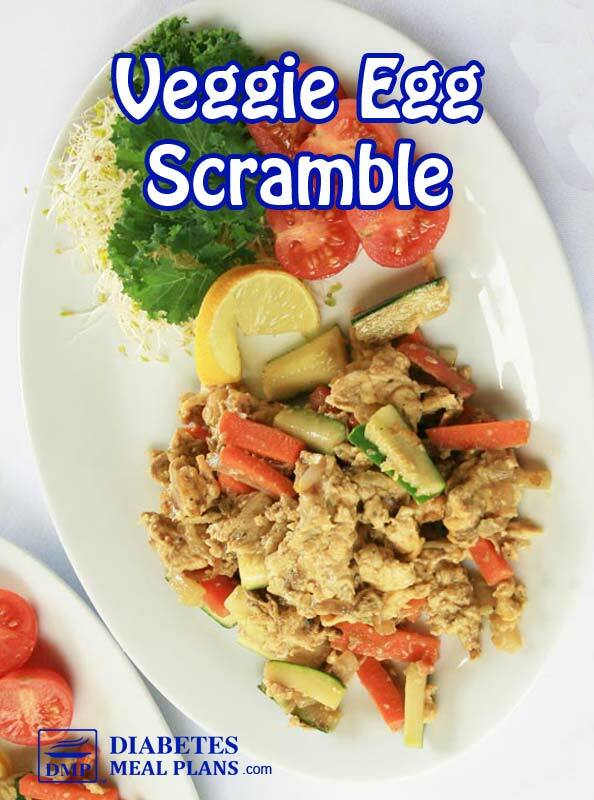 Try this Mixed Veggie Egg Scramble. Fresh fruit or frozen fruit: adding a bit of sweetness to your breakfast can make it more pleasurable, but only if you choose the right fruit – mainly berries. Bacon: in moderation bacon or turkey bacon is fine. It is a low carb food that won’t influence blood sugar. Just remember though, bacon is a processed meat so it’s not ideal as an everyday food. 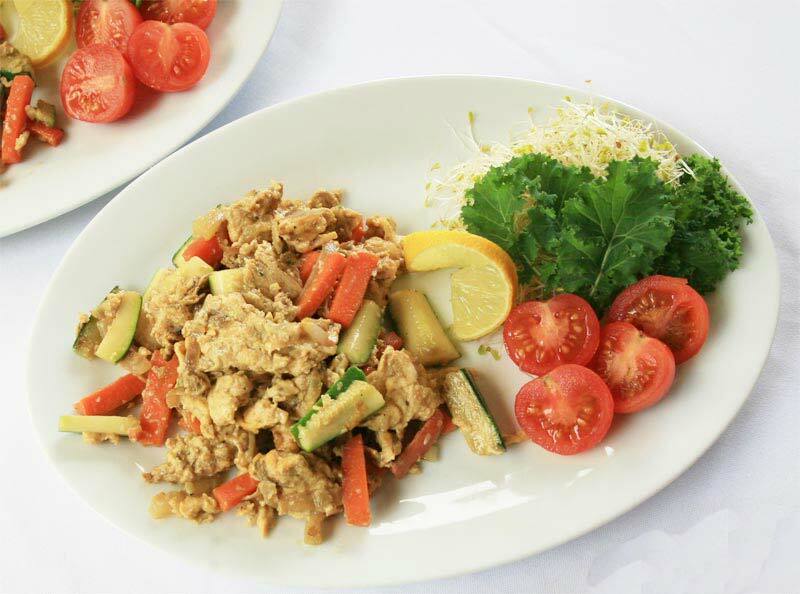 Vegetables: we always encourage people to include vegetables at every meal, including breakfast. Vegetables are high fiber and provide vitamins and minerals that your body needs. 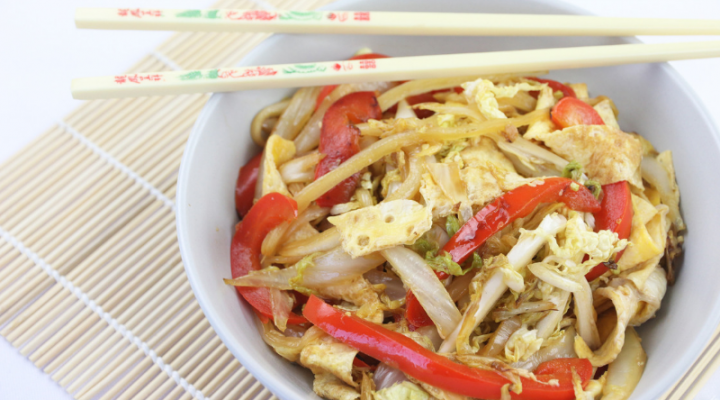 While it may seem strange or unappetizing to eat veggies (at first), they can be included in many ways. And you’ll soon be surprised how much you enjoy them! Nuts & seeds: are high in fiber, protein and healthy fats that can help sustain your energy all through the morning. Make a blood sugar-friendly muesli with nuts and seeds. You can also make muffins, cakes and bakes with nut flours such as almond flour or flaxseed meal. And, you can include nut butters such as peanut butter and almond butter – dip your celery or carrot sticks. Or place some nut butter in a smoothie for added thickness, protein and flavor. 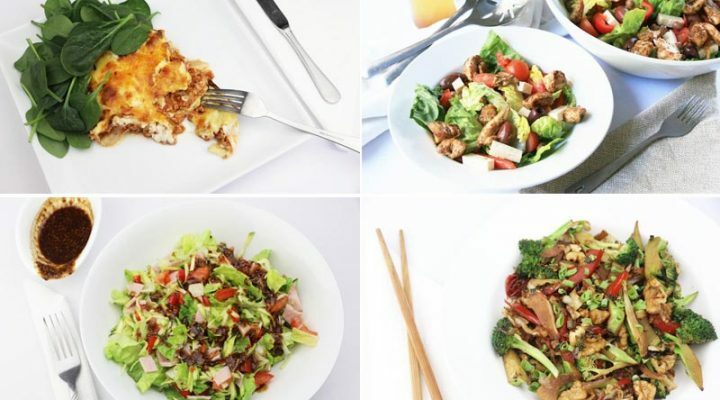 Leftovers – you don’t have to eat ‘breakfast’ foods for breakfast, after all, it is just another meal! Need more breakfast recipes? We have plenty of them! Join us as a Member to access our delicious breakfast menus, weekly meal plans, library of resources, and ongoing support. 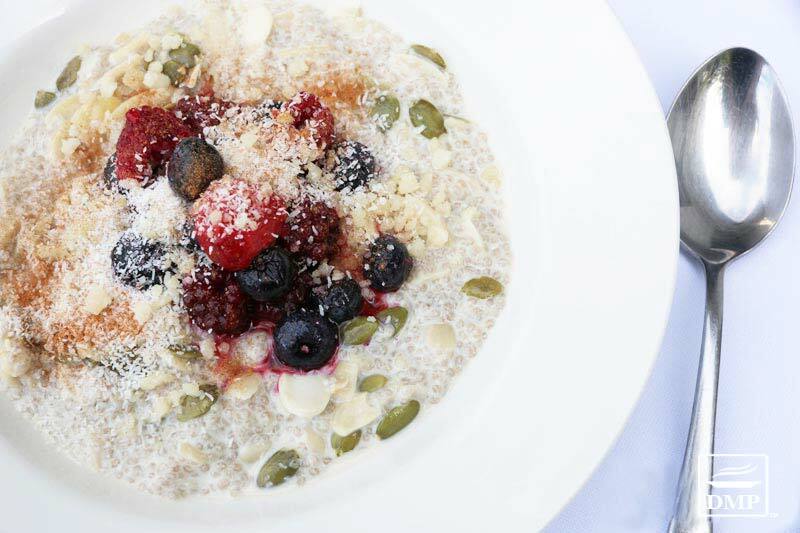 MEMBERS: Login to the Members site here to access the breakfast menu selection. 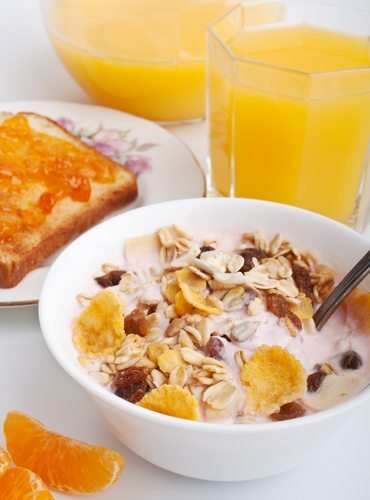 Breakfast can be normal with diabetes, just a new normal. A normal that doesn’t include many of the traditional breakfast foods – because they are high in carbs and the more carbs you eat, the higher your blood sugar levels are likely to be. That doesn’t mean going carb free. Vegetables also provide carbohydrates – the type of carbs and plenty of fiber that supports optimal blood sugar control. With that list of diabetic breakfast ideas above, you can see that you won’t feel deprived and really won’t get bored – you’ll just be enjoying different foods. Even without tradition types of cereal and toast, there are still tons of things you can eat! Re-evaluate breakfast – What have you been eating for breakfast? How have your 2-hour after meal blood sugar readings been? If your numbers are a little high, what could you do differently? Use the ideas above to guide you and begin eating breakfast anew! Run an experiment – compare your ‘normal' breakfast to your new breakfast. Take your blood sugar levels before breakfast on the 1st day, write it down. Take your levels 2 hours after your meal (time from the first bite of food). Next day, eat a lower carb breakfast from the list above. Take your blood sugar levels before breakfast on the 1st day, write it down. Take your levels 2 hours after your meal (time from the first bite of food). Compare the results. 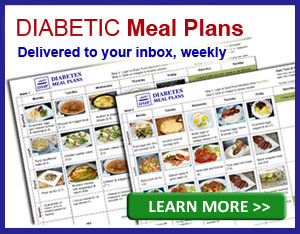 Need more breakfast recipes and diabetic-friendly meals? Consider joining us as a member. What exactly are you looking for Willi? We have written a few articles on vegetarian diets, such as what to eat on a vegetarian diet and then another one specifically about protein sources. Try adding 2 flaxseed capsules before each meal. It’s a tip that works well for most people in terms of hunger, and it aids blood sugar too. Hi, My morning b/g is 116. Too high for me . There is so much work I need to do to get my b/g down. I went to bed with a b/g 110. Thank God this is another day in which I will try to meet my goal of getting into the normal range. My last A1c was 5.8 Today I will start with a new breakfast PANCAKES made with coconut flour. Don’t beat yourself up over it Tanya – just keep taking small steps every day and things will continue to improve. My name is Ella this is day 4 my BS reading was 111 am on insulin down to 18 units now tjis afternoon after eating a large hpliday dinner ham, chicken, greens, yam, cake and tea it was 222. It usually be about 300 i see results. Fantastic Ella! Keep committed to you for the 21 days and we look forward to more updates. FBS 154 up from yesterday. There are several breakfast ideas I plan to try. Also need to become more active. Great to hear you’re going to try some new things and add exercise too! Why are you not mentioning “Bullet Coffee” (coconut oil, unsalted butter and black coffee) and intermittent fasting as a replacement for breakfast? We don’t encourage intermittent fasting because based on research and the success of our members we have found following a low carb diet works just as well and is easier to stick with long term! Certainly we know there is also research on intermittent fasting and there are other places to source that info and support. And certainly if intermittent fasting works for your body then it’s worth trying/doing, but just make sure it’s something you can continue long term. My fasting bs at 5:55am was 98. Before breakfast at 6:35 am bs was 126. My normal oatmeal for breakfast and 2 hrs later I’m at 197. So…I will be doing the task and making a crustless broccoli & cheese quiche today and having that for breakfast tomorrow. I normally put ham in my quiche, but I don’t have any on hand. I’m also going to pick up the ingredients for muesli and was wondering about the coconut. Sweetened or un-sweetened? Your recipe doesn’t say but I’m sure it’s unsweetened. I was also wondering if this could be used as a snack if I didn’t add the milk. I love nuts and it’s always easy to have on hand in case I need a quick snack. I’m thinking 1/4 cup? I find that if I don’t have a healthy snack prepared, I grab the wrong thing! I’ve gotten into a routine of eating breakfast or lunch and having my bs stay higher until the next meal time because of my schedule (can’t always grab a snack while at work) but I can clearly see that it’s not helping my A1c readings. I’m currently at 6.8 with no meds. I go for blood work the first week of December so I’m hoping that these changes will reflect a little bit on that reading. I am also making a shopping list and will be trying some of the recipes you posted yesterday. I will also pick up some frozen berries to add to my keefer to see if that helps my bs. I do love my keefer! 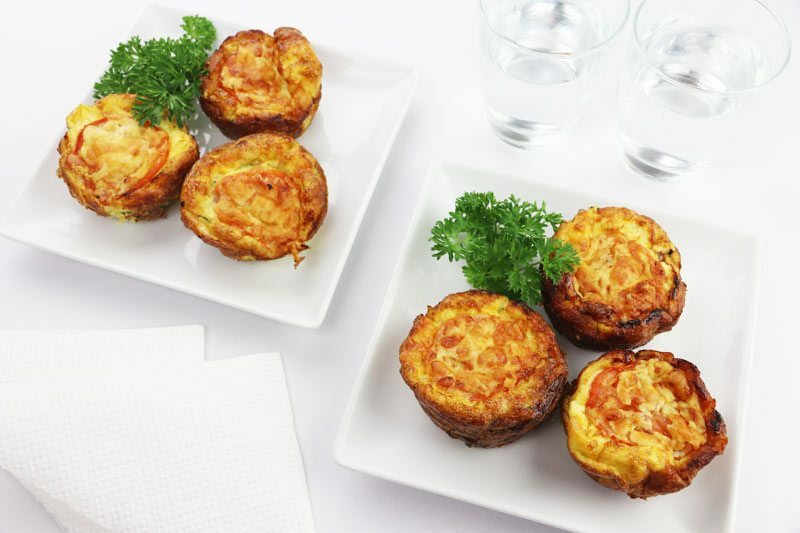 Good choice with the crustless quiche- I think you will be pleased with the results! You are correct in your assumption of using unsweetened coconut. This recipe could probably be adapted as a snack, I would suggest turning it into more of a “trail mix” with your favorite nuts and seeds. 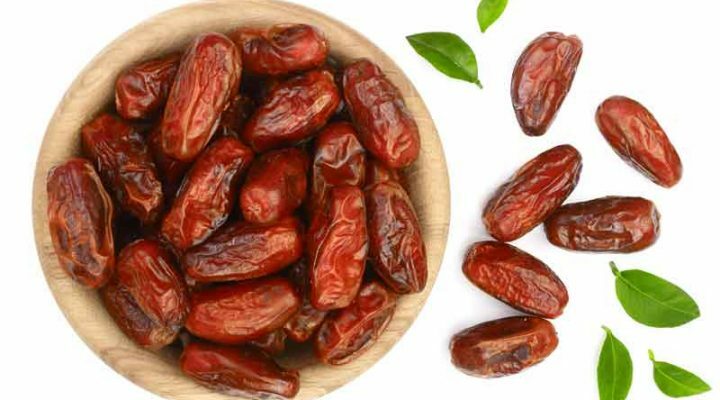 (Skip the dried fruit and chocolate!) Preparing is key; many people fall into the habit of grabbing the quickest thing available instead of the healthiest thing available. 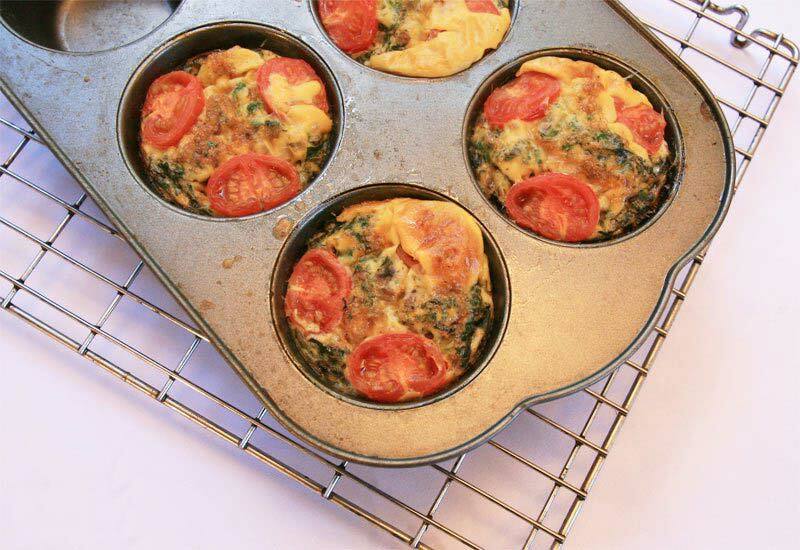 These are some really great breakfast ideas. So many, in fact, I’m not sure where to start. Thanks for sharing. Hope you enjoy some of them Terri. Thank you so much for your sharing.. It’s useful a lot.. Thank you soooooo much for the wonderful breakfast recipes. Your pizza crust recipe looks so simple. I will try it.